Great rates: We have negotiated with top car rental companies so we can provide the best rates. Read our Price Promise for more details. More vehicle options: Choose from a wide selection of rental cars offered by the country's leading suppliers. 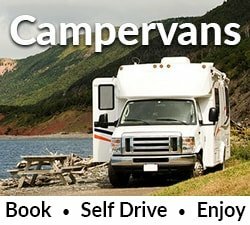 You can also compare and book a campervan in New Zealand. Trusted since 2001: We have been helping people find the perfect rental car for their trip for more than a decade. We value your opinion: Use our customer reviews page to let us know how much you enjoyed booking a New Zealand rental car at VroomVroomVroom. contact us now. You can also reach out to us on Facebook and Twitter. Planning to book a rental car in other airports? Visit our airport pages for more info. When you have to help thousands of people book a car hire in New Zealand, we are often hit with the same questions. Below are some questions we get asked regularly. Why can't I see the car that I want? If the vehicle you want is not showing in our comparison, it is probably booked out and not available. Please contact us if you need help in finding a specific car. I am travelling with over 5 passengers. What car should I hire? Only cars under the category 'Van' have more than 5 seats. Vans can seat 8 passengers while other categories can only seat up to 5 passengers. Van Examples: Toyota Previa, Kia Carnival. To find an 8-seater, simply complete a search, scroll to the bottom of the results and look for the car group 'Van'. We recommend that you book an 8-seater van early because this vehicle type is always in demand. If you have other questions, please check out our FAQ page.